Worldwide icon-chevron-right North America icon-chevron-right United States icon-chevron-right California icon-chevron-right Los Angeles icon-chevron-right Alosta Brewing Co. 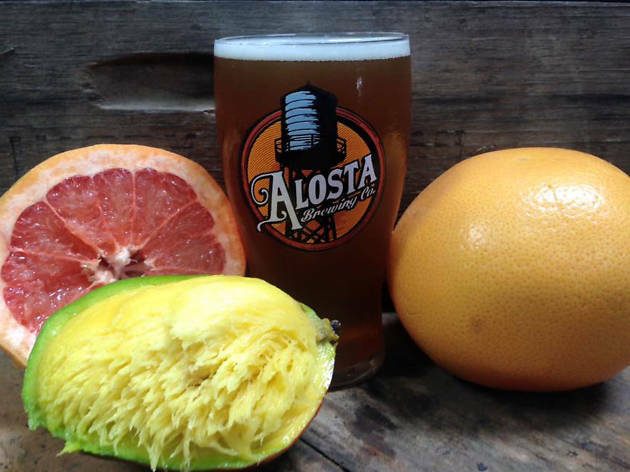 Photograph: Courtesy Alosta Brewing Co. In the late 1800s, the then-dry, straight-laced town of Glendora subsumed the alcohol-friendly town of Alosta and reduced its name to a mere stretch of highway. 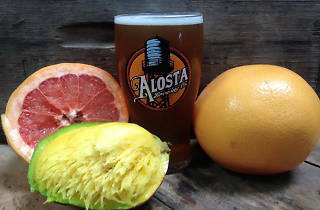 That changed in 2013 when homebrew friends opened Alosta Brewing Company in Covina with a nod to rallying the community around beers that improved on age-old traditions. Those innovations now include the signature Sally Blonde Ale, community favorite Mrs. Adams Oatmeal Stout and dynamic Blood-Orange Pale Ale, all of which patrons can enjoy in a cozy, airy industrial space with skylights, flat screens and a food truck that's never far away.